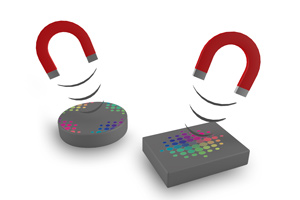 Are you looking for a giveaway that will magnetically attract customers? We recommend our personalised metal magnets and buttons. Two millimetres thick, round or cornered – and poled for realising savings. 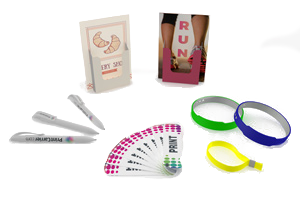 Personalised magnets attract while simultaneously delivering your message or theme. On office bulletin boards, cafeteria message boards or the fridge in the break room, the possibilities are endless. Photos, graphics, slogans, sketches, symbols, logos, pictograms, emoticons, you name it – we’ll print your magnetic giveaways with anything you send us. In full colour on one side, in crisp and appetising quality and brilliant hues. The sales department says a hundred are enough. The secretary would like a few more. And the comptroller only cares about what they cost. We can only help you up to a point in deciding how many to order, namely by letting you know that you have a choice among 50, 100, 200, 300, 400, 500 or 1000. You have the last word. We normally print and deliver your personalised magnets within 16 working days to the address you specify. Naturally at no extra charge, as we also include shipping in the price of production. 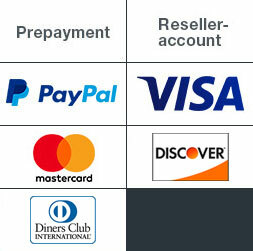 At our affordable online print shop, we’re dedicated to ensuring 100% satisfaction with our products and services. But if our magnets should ever be less than flawless, please let us know – so that we can accept your criticism and give you a full refund if you’re a first-time customer. If you’ve ordered from us before, we’ll resolve the matter in your favour. This is the kind of service that magically attracts business!